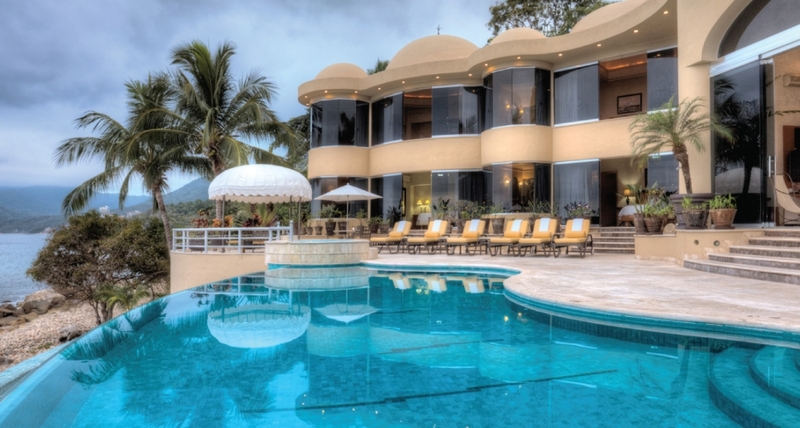 Puerto Vallarta’s top beachfront property, Villa Paraiso is a luxurious private villa which offers the most amazing vacation experience in Mexico. 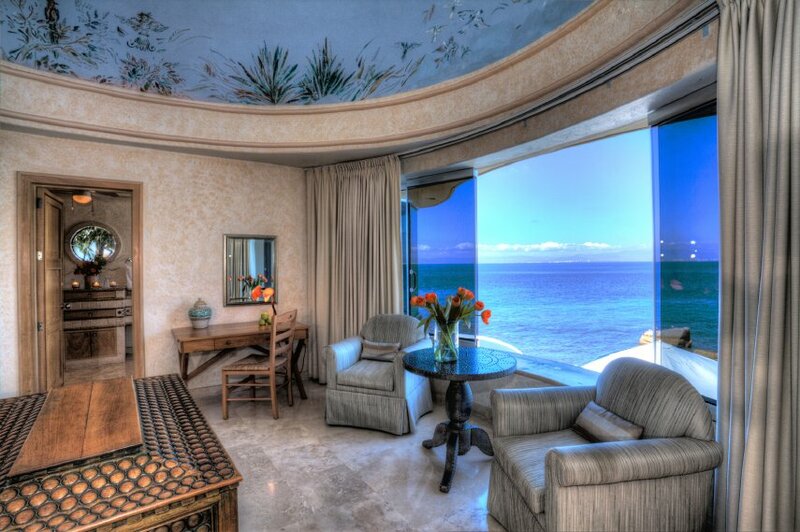 The ultimate private getaway, located just 10 kilometers from Puerto Vallarta, designed to maximize the stunning panoramic ocean view across the majestic Banderas Bay. 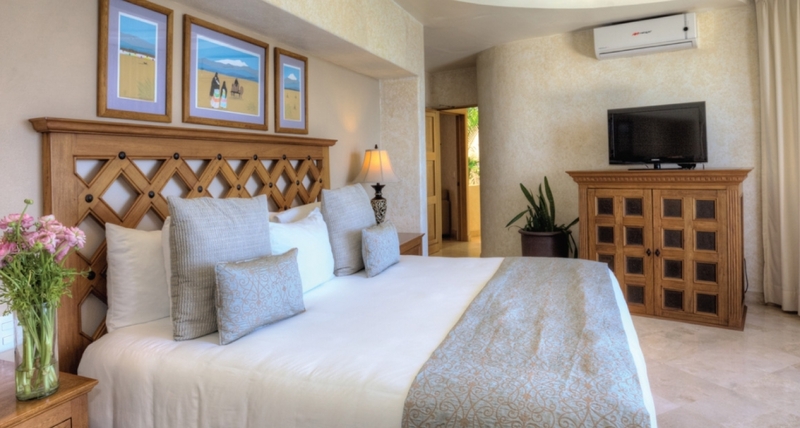 The complex includes six beautifully decorated suites overlooking the ocean: the secluded master suite and five separate suites, each with private bath, hot tub overlooking the sea, air conditioning, closet and flat-screen TV. Famous for its attentive staff, at Villa Paraiso you can truly sit back, relax and rely on our bilingual Manager who oversees the villa and staff: including shopping, organizing meals, transportation, excursions and activities, onsite spa services and anything else you may require. Also, our Executive Chef offers you a variety of delicious authentic Mexican dishes or international cuisine. You relax and enjoy your vacation, while we do the rest! The villa staff is available seven days a week from 7:00 a.m. to 11:00 p.m. for your complete comfort. During the night there is a security agent onsite, meaning there is at least one staff member to assist you 24/7. Before your arrival at Villa Paraiso, we will send you a Guest Arrival Information Sheet to help you book transportation to the villa, meals, and activities including useful information to help you plan your trip. Check-in is at 3:00 p.m. and Check-out is at noon. Our service is personalized. Upon booking you will be asked for your drink preferences, dietary needs or allergies, preferred dining times and menu planning, along with the activities that interest you and your guests. We are here to help you plan an unforgettable vacation! 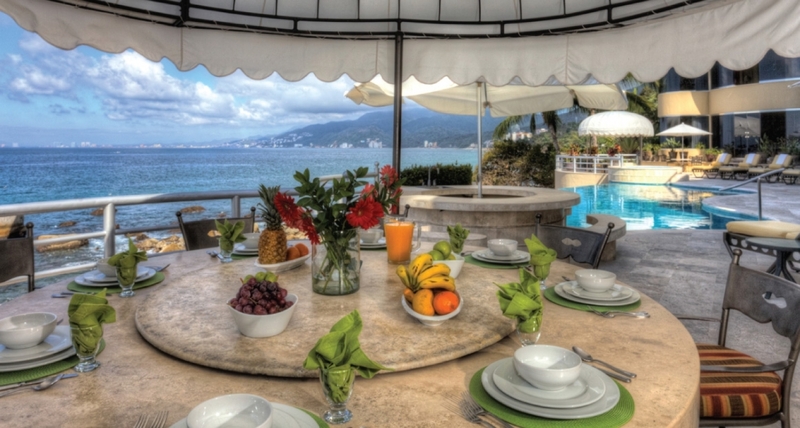 The cost of food and beverages is not included in the villa rental. You will be presented with a list of your food and drink expenses one day before your departure. Commonly, the cost to cover three meals per person (snacks, drinks and beverages), ranges between $55 USD and $65 USD per day.